Do you want to avail latest snapdeal offers? Yes, you heard that right, Snapdeal provides a lot of attractive offers to their customers through sending emails, sms and even pop-up alerts on their apps. But if you’ve missed these alerts, then need to worry because you can easily get the details of all these latest offers from the Snadpeal official website. Just have a glance at this article to know how to avail latest snapdeal offers. Step 1: First go to Snapdeal website “www.snapdeal.com” and then click on the “Login” button, as shown in the image below. Step 2: In the next step, you need to enter your login credentials, i.e. your email address or mobile number combined with your snapdeal password and then click on the “Login” button, as shown in the image below. Step 3: Now, go to the “More” tab, which is at the top right corner of your screen. 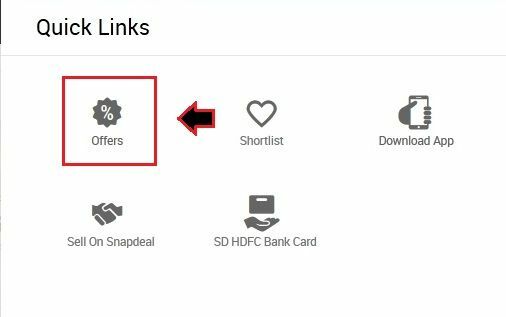 Step 4: Now, you may see different options, in which the first one is “Offers”, Here, you’ll find all the latest snapdeal offers. 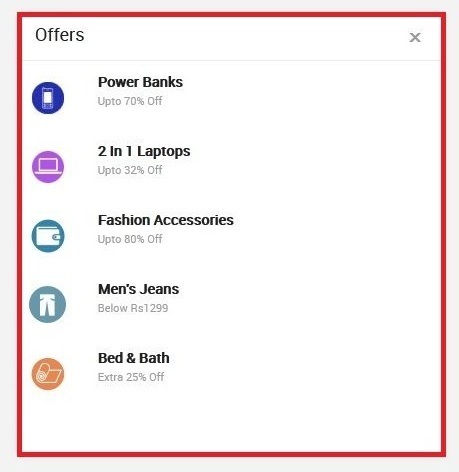 Step 5: Finally, you may see latest snapdeal offers in the pop up, as shown in the image below.